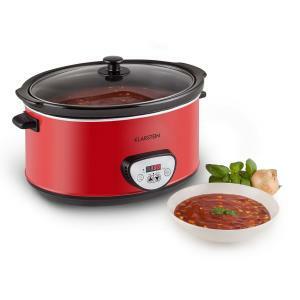 Slow cooker for cooking with the slow cook method; features a 320 W heating element. 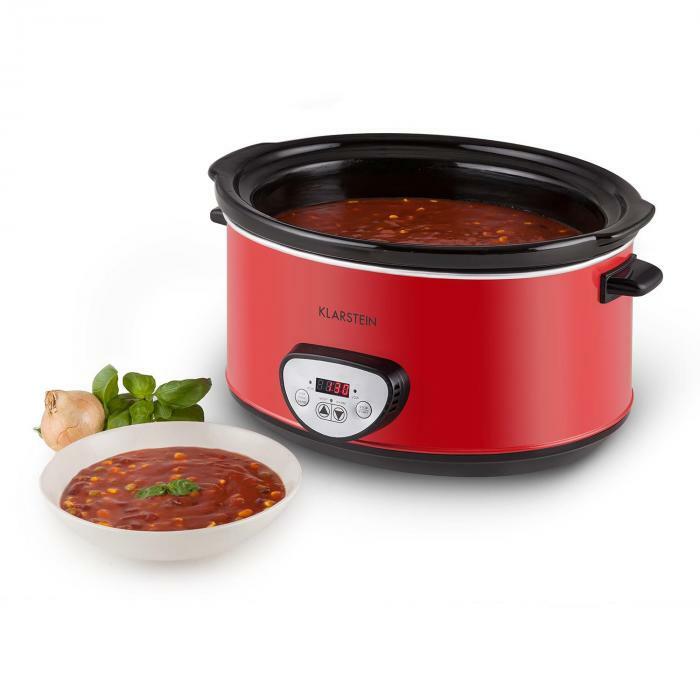 Perfect cooking via a low temperature that's evenly spread through the 6.5 L inner pot. 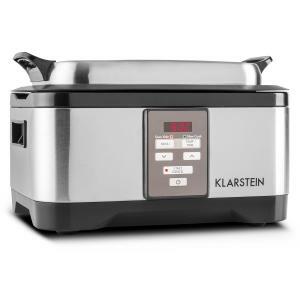 Doesn’t require a stove; ready for use with its own power supply and digital display. 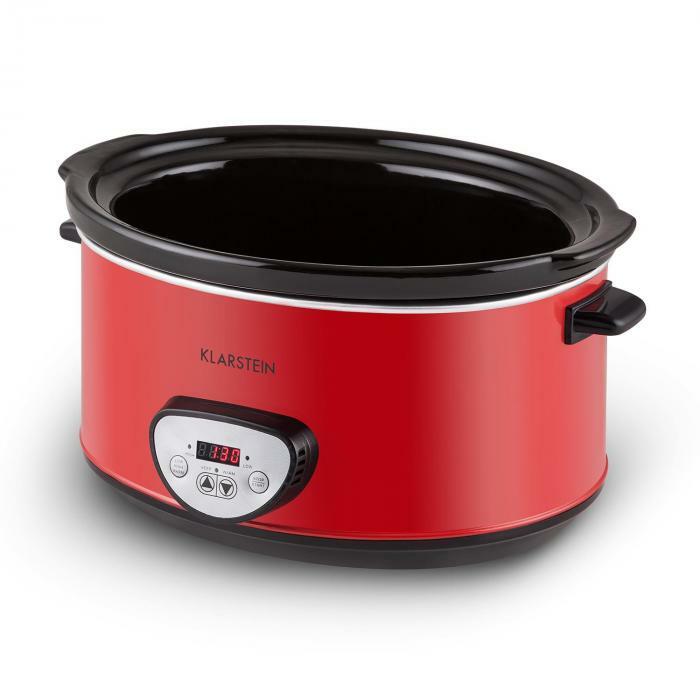 Klarstein presents the Bankett slow cooker; a practical kitchen appliance for fun loving gourmet chefs. 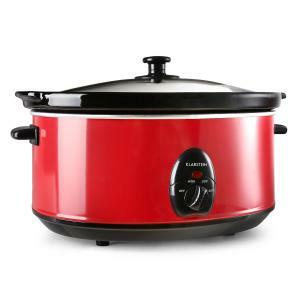 The slow cooker is the perfect helper for preparing dishes such as stews or braised meats via the slow-cooking method. 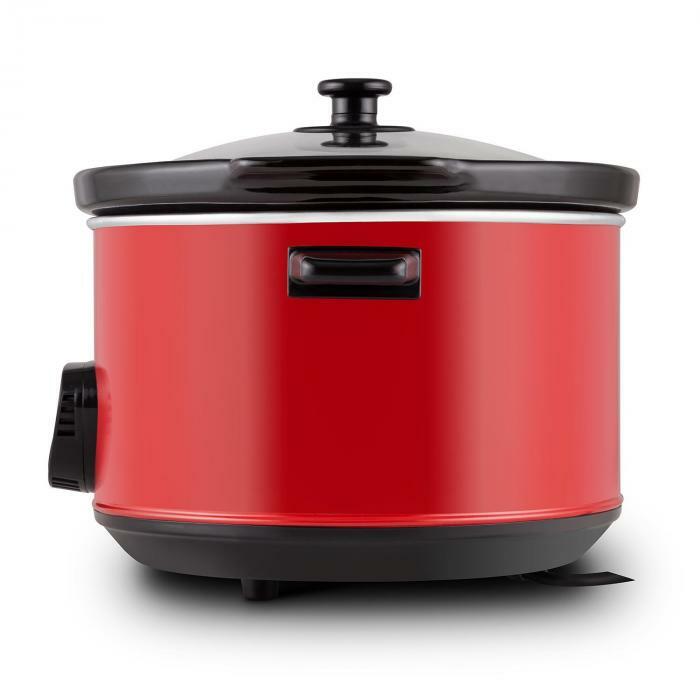 This method relies on low temperatures and long cooking times; during the cooking process, vitamins and flavours are not affected, and meat becomes especially tender and juicy. 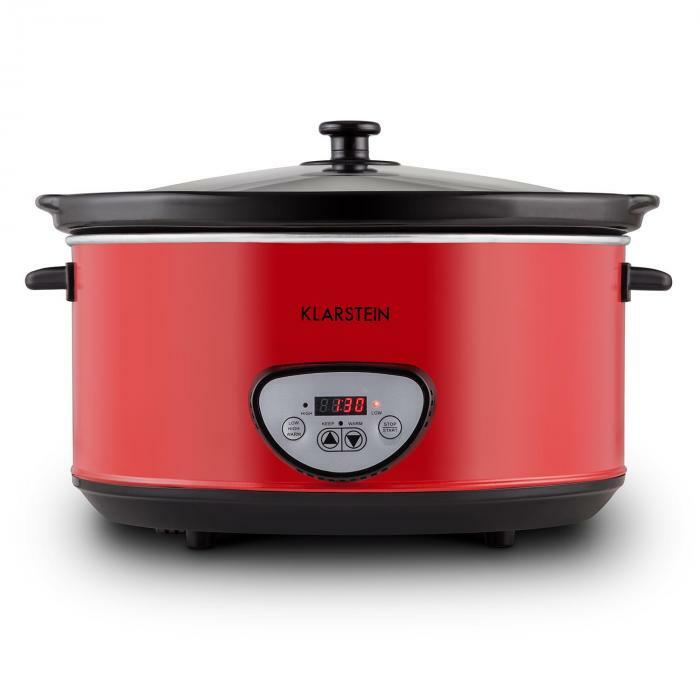 With this method, the Klarstein Bankett slow cooker delivers healthier results with intense flavours. 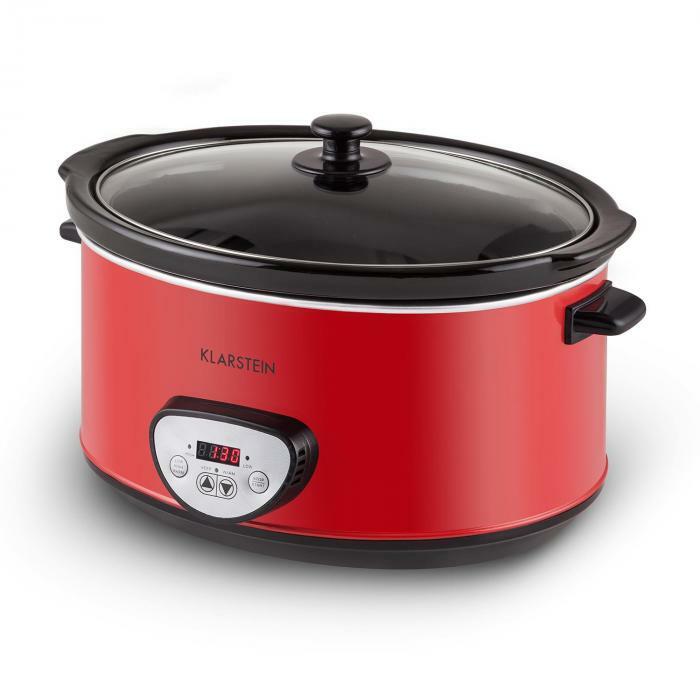 The slow cooker from Klarstein consists of two parts: a heavy ceramic inner pot with a lid to accommodate the desired ingredients; and an external device that includes the 320 W heating element which heats the inner pot. The advantage: the ceramic pot heats ingredients evenly throughout so that perfect results can be achieved. Another plus: accidentally burning or overcooking is almost impossible since you're cooking at such a low temperature! 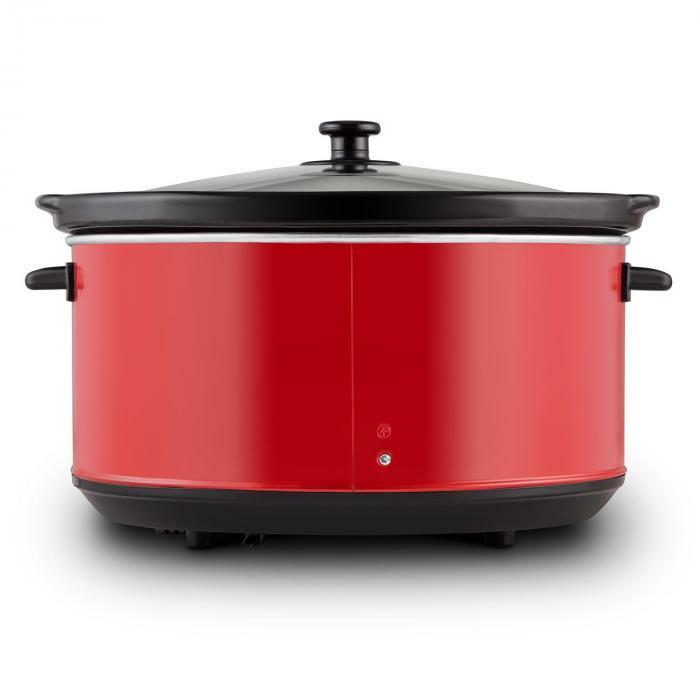 With a 6.5 litre capacity, the inner pot has enough space for any dish, whether a roast, fish or a stew for the whole family. 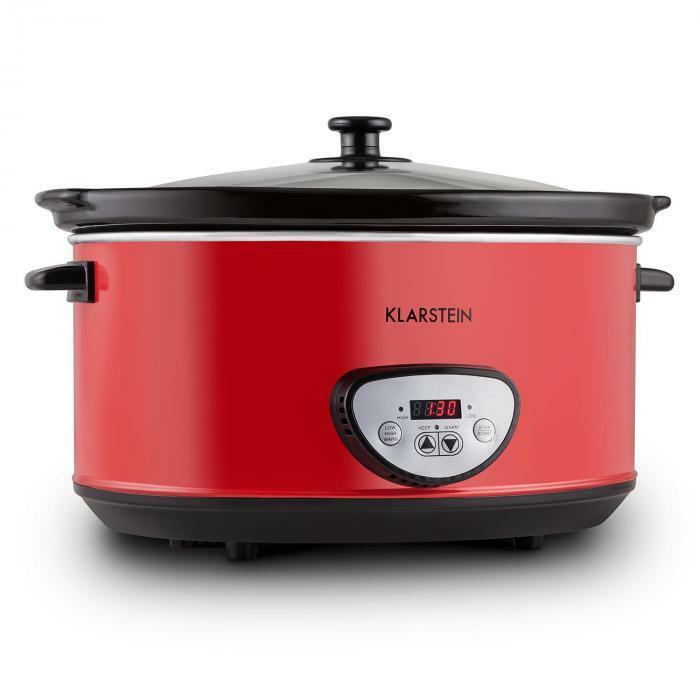 You can control the Klarstein slow cooker completely via the simple front-side display: you can select one of three temperatures - high, low, or keep-warm - and can set the cooking time. 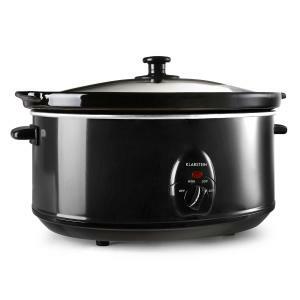 The default setting is a 12 hour cooking time, after which the slow cooker remains in keep-warm mode for 6 hours. 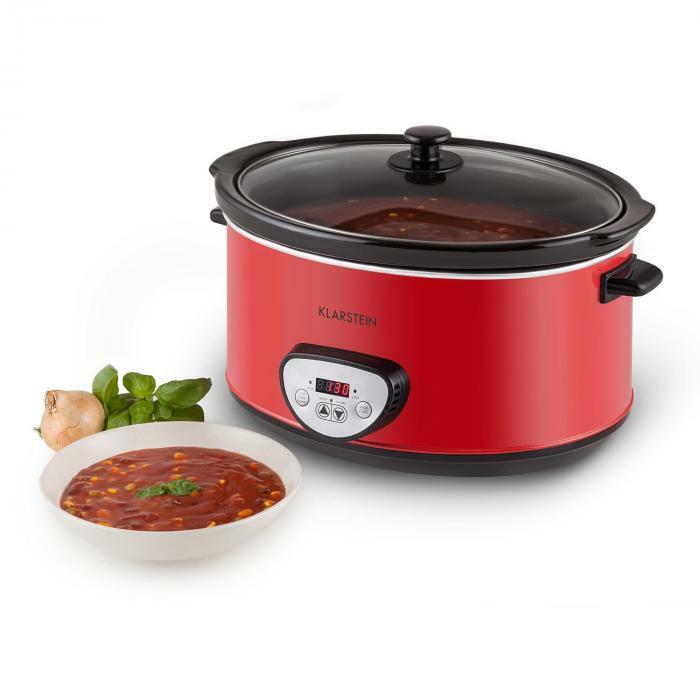 You choose your own cooking times in intervals of 30 minutes, and cook for between 30 minutes and 12 hours. 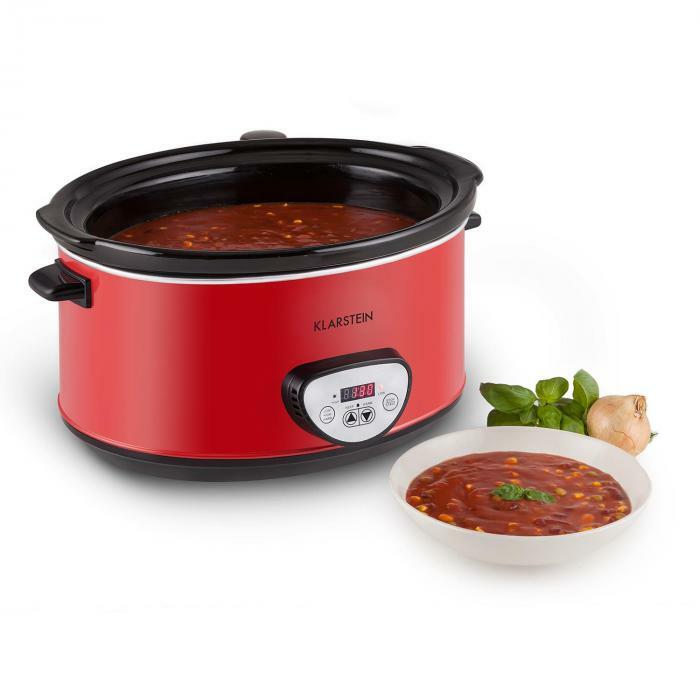 Thus, this slow cooker offers a whole new culinary experience: old favourite dishes and new favourite foods will taste like they were prepared by professionals. 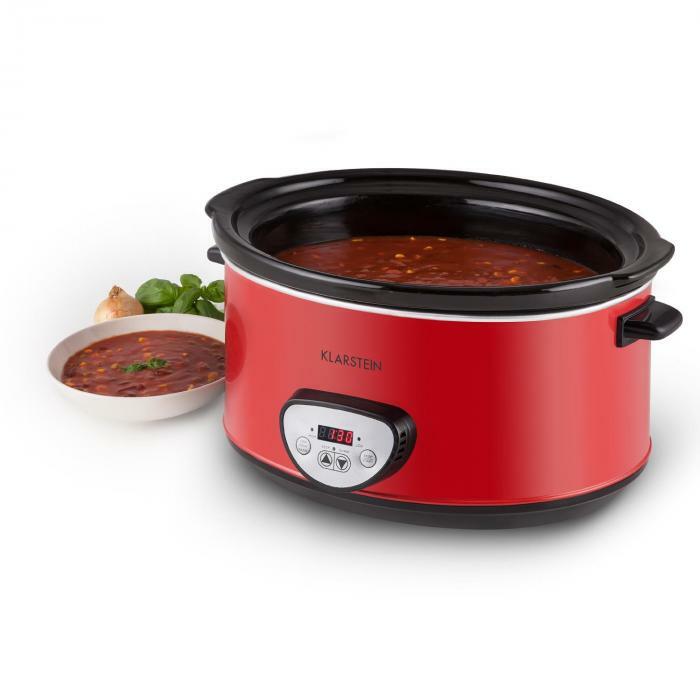 Fill up the ingredients in the morning before work and simply let the slow cooker to do its thing - then all you need to do is look forward to an evening of delicious food.